At Polden Hills Veterinary Centre, we carry a variety of pet foods for all growth stages, health conditions, lifestyles, and individual needs. We also carry supplies and a tempting array of toys. If we don't carry a particular product, we can probably order it for you. The specialty food we carry is formulated to help in the management and treatment of different disease conditions such as arthritis, kidney disease, intestinal problems, and even senility. These foods are specifically chosen by us for their high quality and nutritional value. We also have special calorie-reduced food and treats, as well as carrying treats that help prevent gum disease. We are pleased to carry the premium quality line of Burns pet foods. Burns – the real food for pets. All Burns pet food is hypo-allergenic and is free from preservatives, artificial colouring, and artificial flavouring. 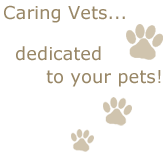 Burns has a variety of veterinary specialty and therapeutic diet choices for all life stages and disease conditions. Why do pets need a specific diet? Dietary needs vary with the age of the pet, their level of exercise, whether they are overweight or underweight, and with various medical conditions. Also, different species have different nutritional requirements. Note that feeding human scraps to your pet might not be helping their diet and may even be harmful as not all "human foods" are safe for pets. The optimal diet contains an ideal ratio of essential nutrients. It should meet but not exceed the animal's caloric so that a healthy weight is maintained. Our veterinary surgeons have the specialised knowledge to optimise your pet's nutritional needs, and we are happy to assist you with choosing the very best diet for your pet. We have a variety of supplies for your pet needs including diffusers, leashes, and nail clippers. 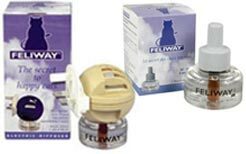 Feliway Diffuser for cats – Helps fear and stress-related problems often caused by changes in their environment such as travel, a move, or a new cat in the household. 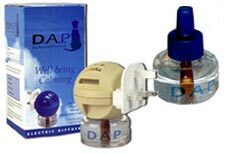 Adaptil Diffuser for dogs – Helps prevent or reduce fear-related reactions in situations that might cause worry or apprehension. Come in and see our great new selection of toys for a variety of pets. For cats, among our collection we stock the very popular and hard to find crinkle balls - cats adore them! Plus we carry springs and other cat toys too. 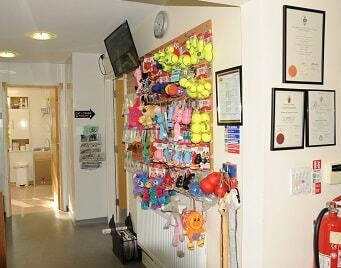 For dogs we have a variety of exciting toys from squeezy bones to slippers, and toys with or without stuffing. they are soooo much fun!